You’re probably gearing up for back-to-school if you haven’t already booted your littles out of the door. My mind is reeling from all of the recipes that I’m planning to make to create easy mornings around this house. Since, like most creative types, I’m up late; waking up early in the morning is not on my list of favorite things to do. My family knows and respects that- so long as there’s something in the kitchen that they can whip up without me. 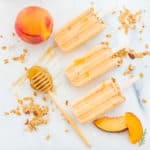 These Peach Frozen Yogurt Breakfast Pops are not only user-friendly for all involved, they’re healthy and easy to store. You can’t get any more weekday-friendly than that. 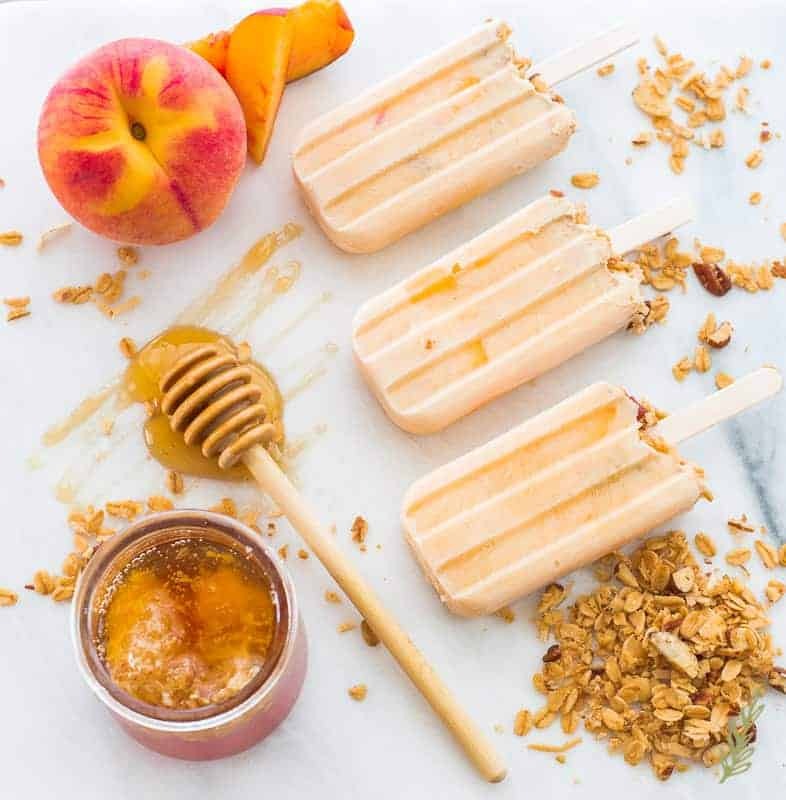 These Peach Frozen Yogurt Breakfast Pops are a bowl of yogurt, fruit, and granola– sweetened with honey. However, instead putting it into a non-travel-friendly bowl, we’ve morphed it into a carry-friendly popsicle form. The fruit (peaches, in this case) can be substituted with any fruit- or combination of fruits- that you prefer. If peaches are no longer in season, switch them out for a fruit that is. The yogurt may be altered as well: skyr, or regular yogurt, are both suitable options. 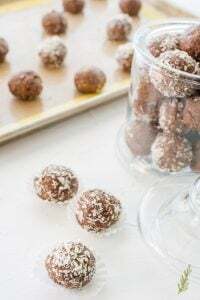 Finally, the sweetener can be changed out for your favorite- I’ve used maple syrup, agave, or even a sugar alternative, in the past. All have worked superbly. 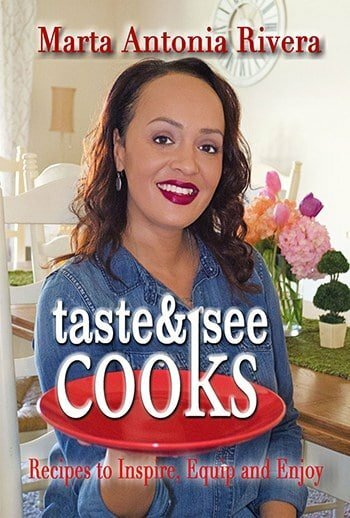 In short, this recipe is very versatile, and it can be changed to accommodate your personal tastes. This recipe uses ripe peaches that still have a bit of structure to them. 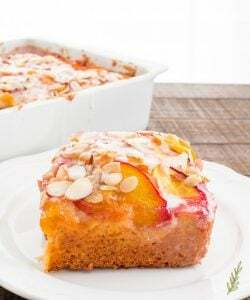 An overly ripened peach is mushy and will fall apart too easily if used in this recipe. The peach you want is still firm, but has a skin that feels “loose” when you rub it gently. 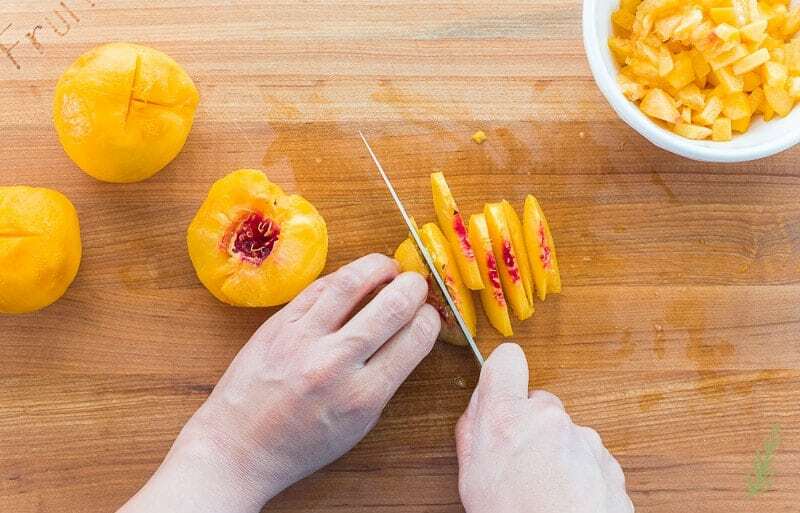 Begin by scoring an X on the bottom of the peach with a sharp paring knife. Once you have your X, grab the point of the skin between the flat side of the knife and the thumb on your dominant hand. Peel back the skin of the peach. 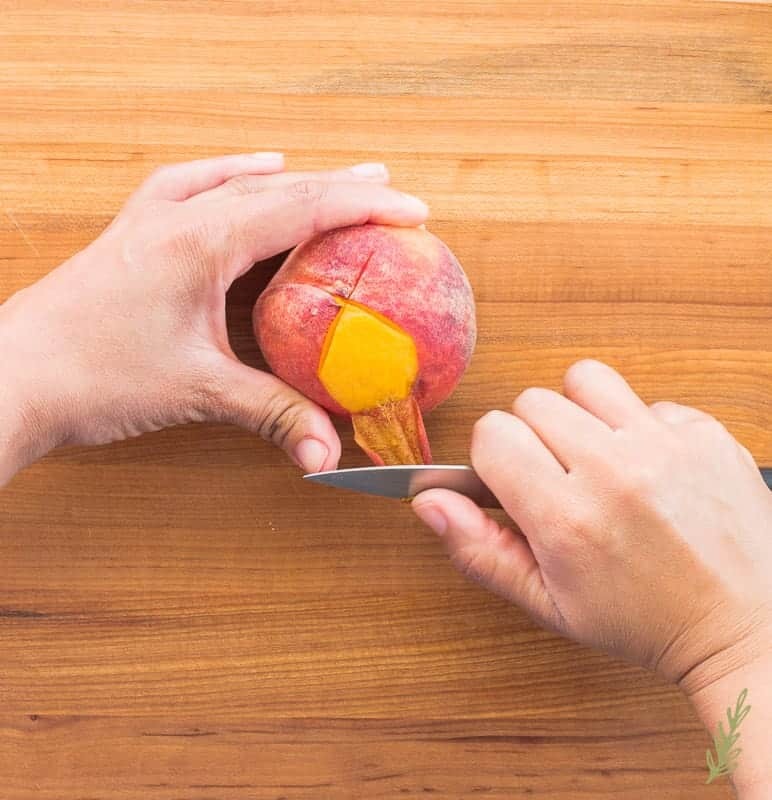 I like to anchor my peach on my cutting board while doing this, as it provides stability. The skin on a perfectly ripe peach will peel away easily. 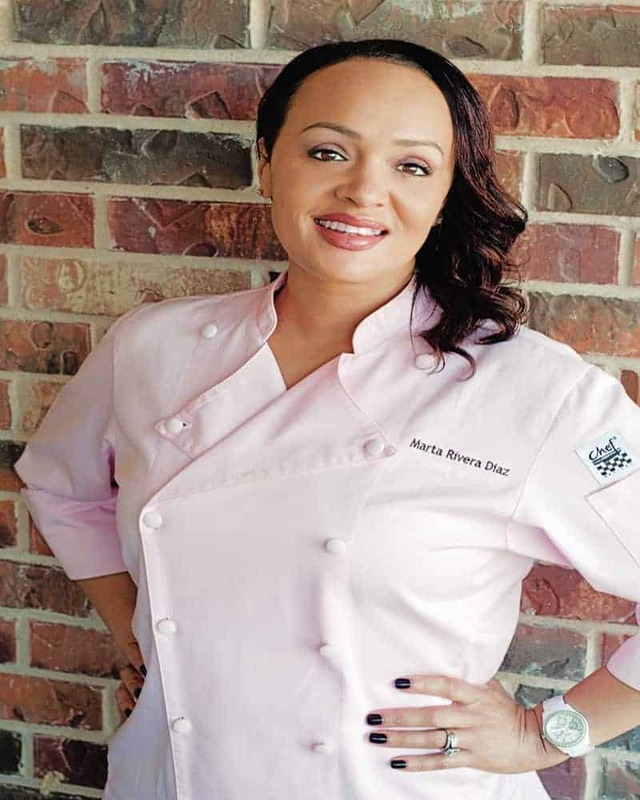 If it doesn’t you can submerge your peach in a pot of rapidly boiling water for thirty seconds. Immediately remove it from the boiling water and plunge them into ice water to stop the cooking process. From there, peel as instructed above. This technique is called blanching and is a great skill to know when peeling things like peaches or tomatoes. 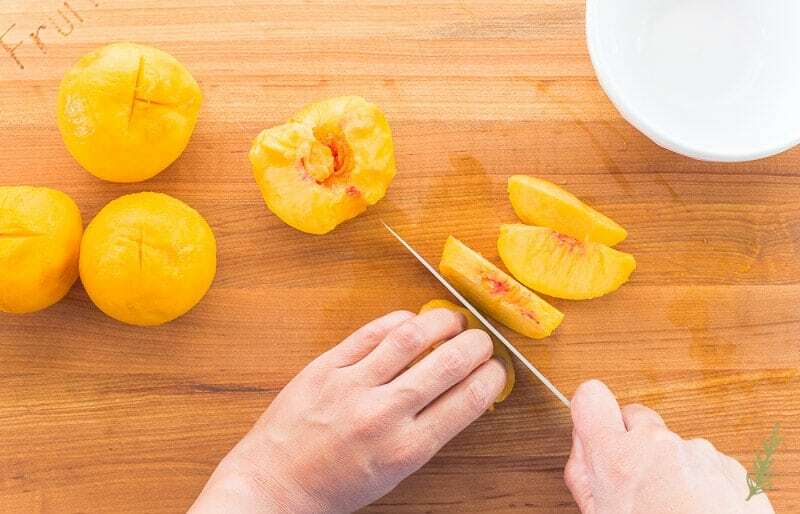 Once all of your peaches have been peeled, cut the fruit in half and remove the hard pit. Discard the pits. 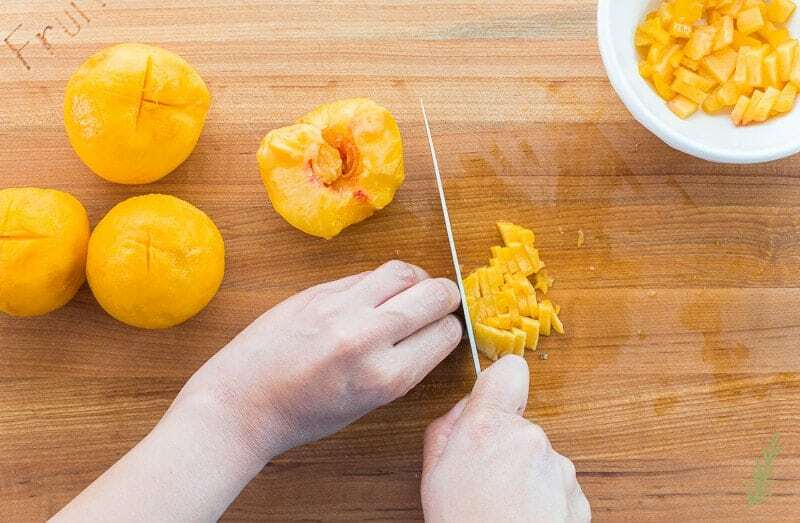 Use a larger chef’s knife to cut one of the peach halves into thick slices. Lay the peach slices on their sides and cut them, lengthwise, in half again. Cut the peach slices into tidbits, or smaller pieces. Place these small pieces into a small bowl and set aside. The peach pieces will be used, as is, in our popsicles later. Slice the remaining peach halves for creating a puree. 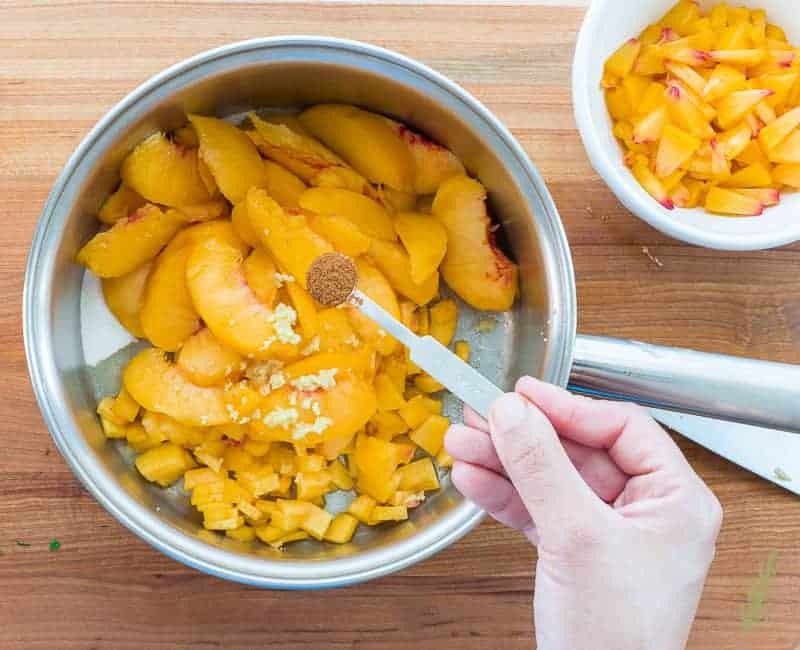 Place the peach slices into a saucepan, then grate fresh ginger root into the pan using a microplane. Add fresh lemon juice and a small amount of brown sugar to the pan. Add ground cinnamon to the pot and bring this mixture to a gentle simmer over medium-low heat. Cook this mixture until the peaches begin to soften and fall apart- about ten minutes. Remove the pot from the stove and, using an immersion blender, puree the peach mixture until smooth. You can do this right in the pot. 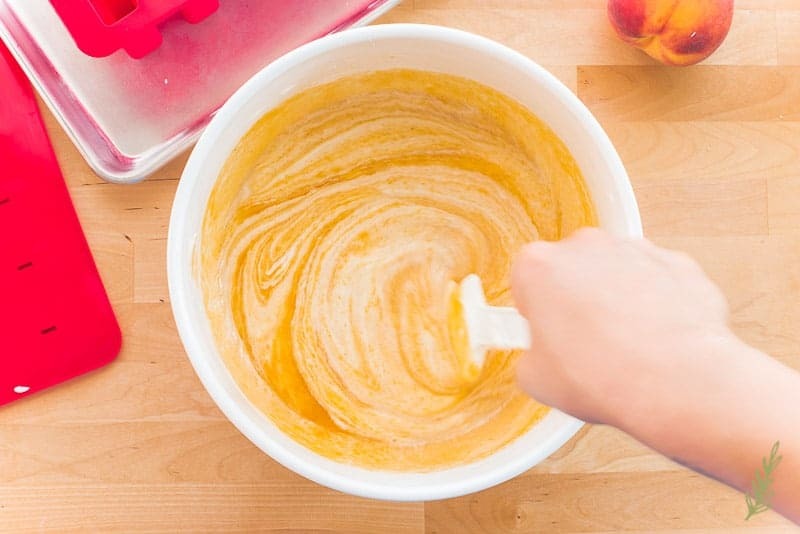 If you don’t have an immersion blender, carefully transfer the peach mixture to a regular blender and puree until smooth. Be sure to vent the lid, or remove the plastic plug from the blender’s lid, to prevent an explosion. Allow this puree to cool to room temperature. 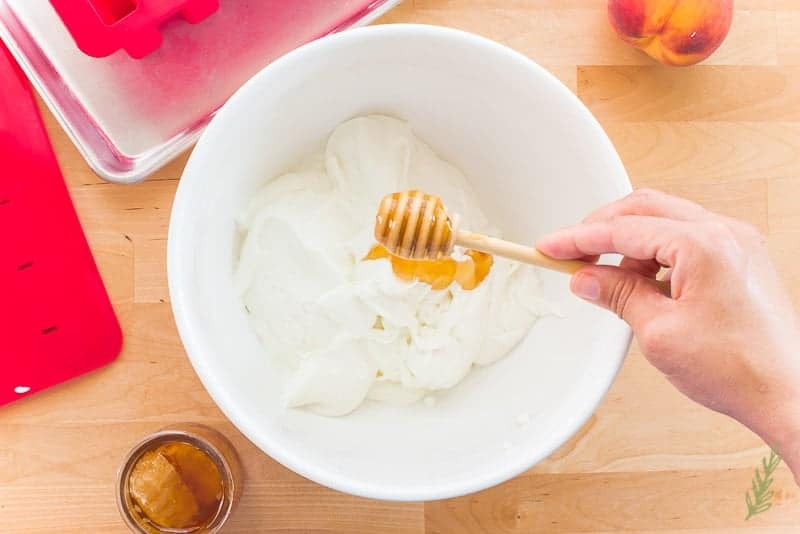 Sweeten the yogurt with the honey. This is not a hard and fast measurement as everyone’s preferred sweetness is different. I like my frozen yogurt to taste like yogurt, so I only add a quarter cup of honey. If you, or your family, prefer a sweeter taste, add up to a half cup of honey to yours. Anything more will be cloyingly sweet, in my opinion. Stir the honey into the yogurt well. You shouldn’t be able to distinguish between the two if it’s fully blended. 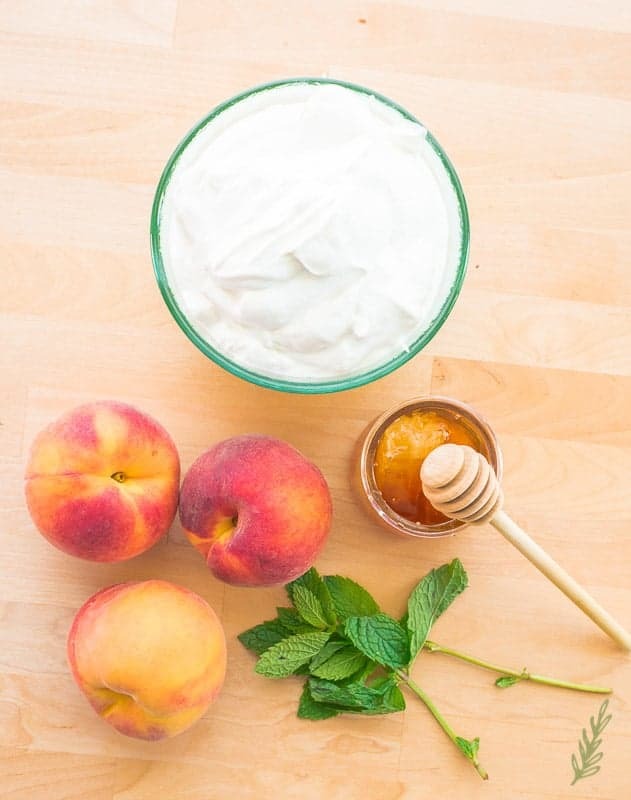 Add the room temperature peach puree to the sweetened yogurt and use a rubber spatula to fold it in. You can blend it in completely, or, if you prefer a greater aesthetic, fold in just slightly to create a swirled effect. In a silicone or plastic popsicle mold, spoon in the yogurt mixture to fill the mold’s cavities up a quarter of the way. Add a tablespoon of the peach pieces you cut up earlier. Top with more yogurt mix, leaving a headspace one-third from the top of the cavity. Add one, or two, tablespoons of granola and press it down a bit to compact it. Top with a teaspoon of the yogurt mix to encourage the granola to stick. 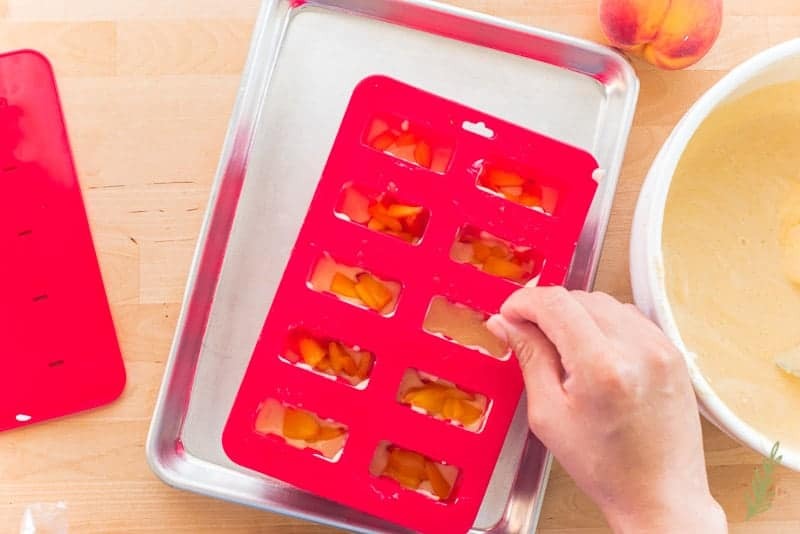 Place the popsicle mold on top of a quarter sheet pan for easy transport to, and from, the freezer. Cover the popsicle mold and insert the popsicle sticks. Allow the popsicles to freeze for at least twelve hours. I like to freeze mine for twenty-four hours so I don’t have to stress about un-molding them. I have found the easiest way to un-mold popsicles is to run piping hot water over the inverted mold. If you have a silicone mold, gently loosen the molds by pulling the silicone away from the frozen pop, then pull the popsicles from their cavities. This popsicle mold that’s linked is great because it comes with popsicle sticks and disposable bags. For me, they’re great when we have to leave the house early for our co-op classes or community service projects. 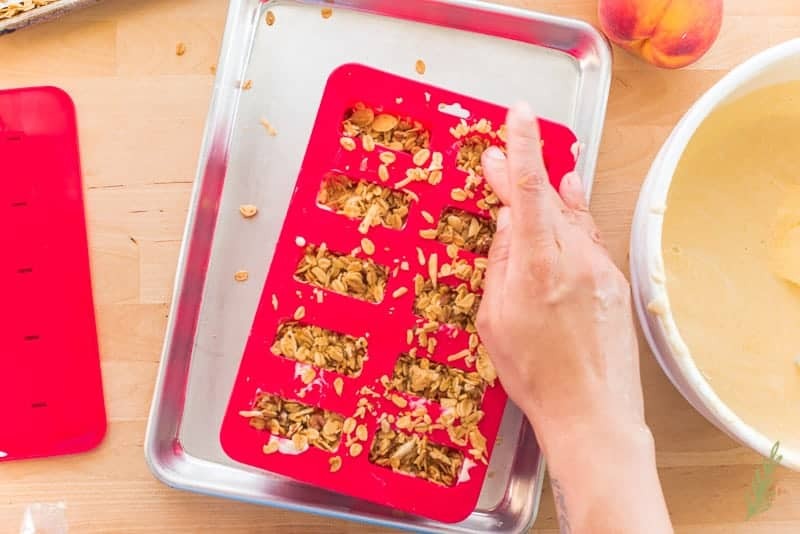 These Peach Frozen Yogurt Breakfast Popsicles can be wrapped in freezer-safe wax paper, or placed in popsicle bags. I add another layer of protection by placing them into a gallon-size freezer bag. They store well, in the freezer, for up to two months. Pin and share this recipe and tell me what flavor combinations you’ll try. Use a sharp paring knife to score an X on the bottom of each peach. 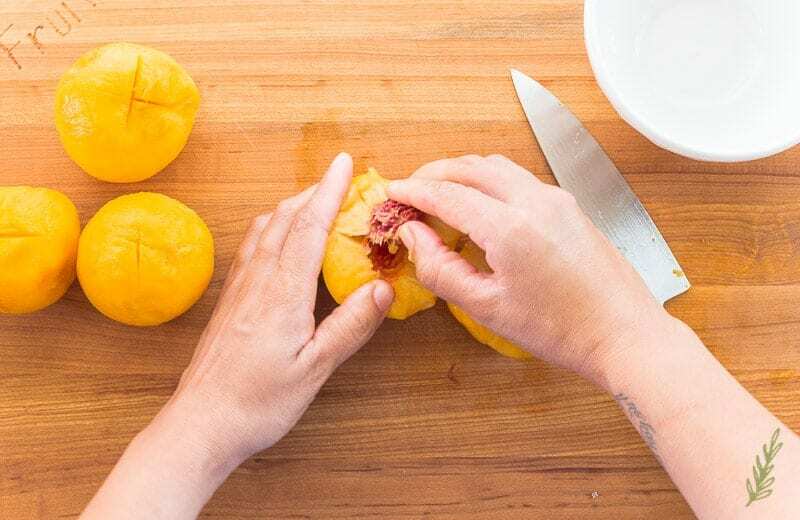 Grab the point of the skin between the flat side of the knife and the thumb on your dominant hand to remove the skin of the peach. Discard the peach skins. Cut the fruit in half to remove the hard pits. Discard the pits. 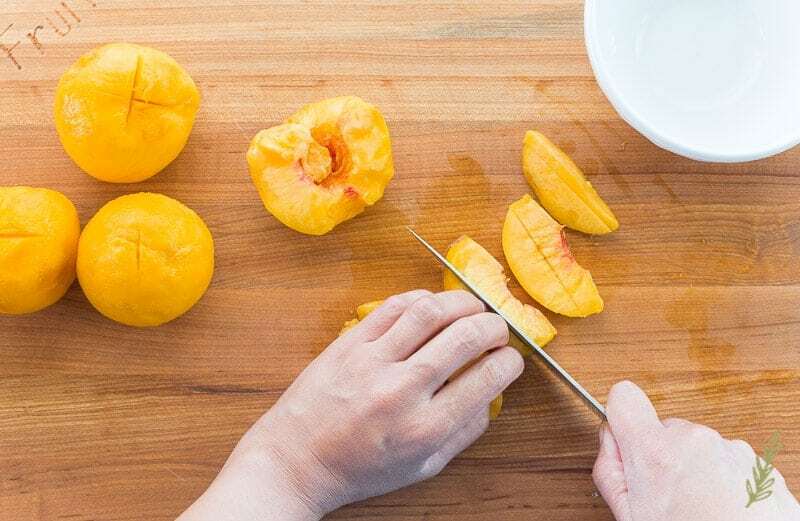 Use a larger chef's knife to cut one of the peach halves into thick slices; lay the peach slices on their sides and cut them, lengthwise, in half again. 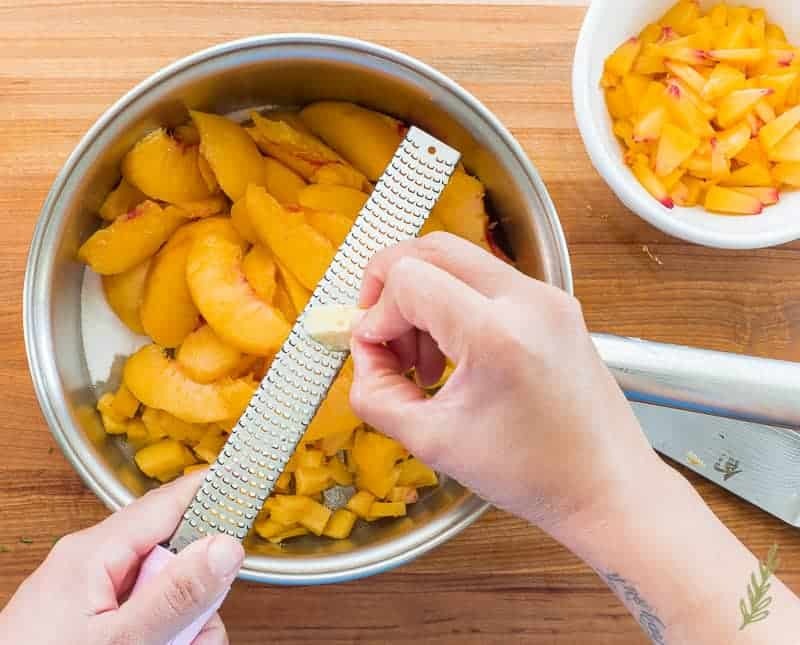 Cut the peach slices into tidbits, or smaller pieces. Place these small pieces into a smaller bowl and set aside. Slice the remaining peach halves for the puree. Place the peach slices into a saucepan, then grate the ginger root into the pan. Add the cinnamon, lemon juice, and brown sugar to the pot and bring this mixture to a simmer over medium-low heat. Cook this mixture until the peaches begin to soften and fall apart- about 10 minutes. 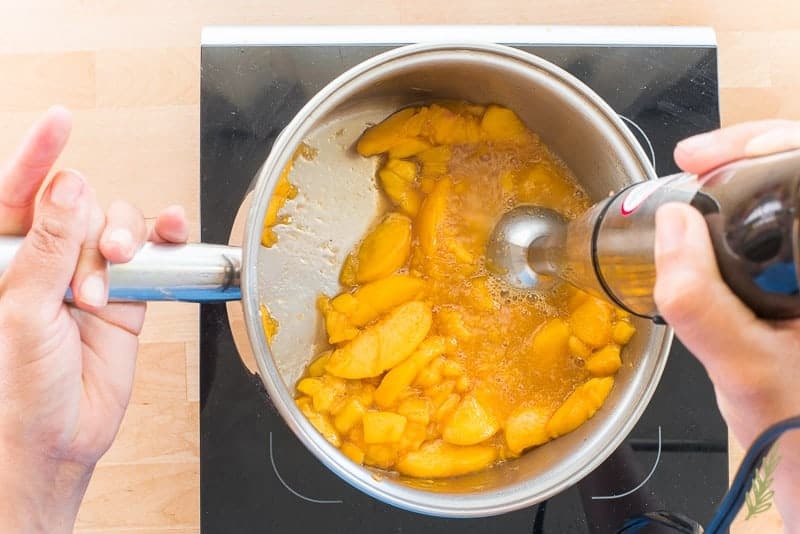 Remove the pot from the stove and puree the peach mixture until smooth using an immersion blender (or transfer to a blender). Allow this puree to cool to room temperature. Stir the honey in to the yogurt to sweeten it. Start with a 1/4 cup of honey. If you, or your family, prefer a sweeter taste, you can add up to a 1/2 cup of honey. 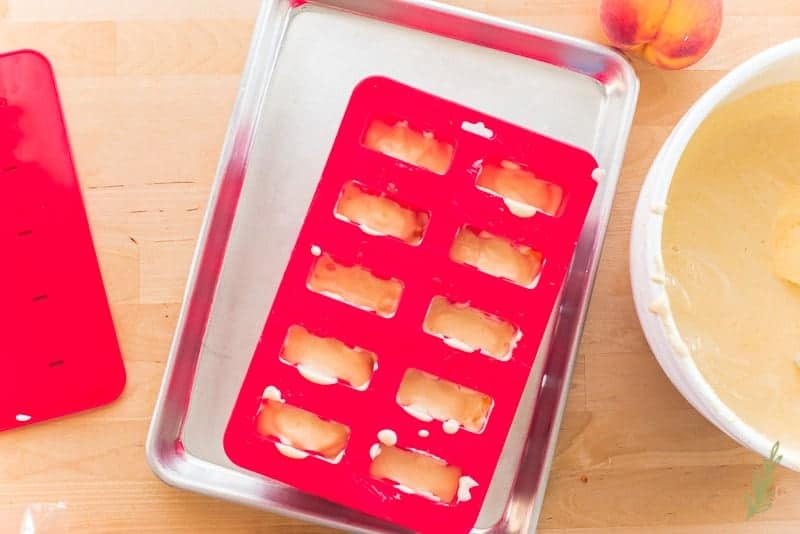 Spoon in the yogurt mixture into the cavities of a silicone or plastic popsicle mold, filling each 1/4 full. 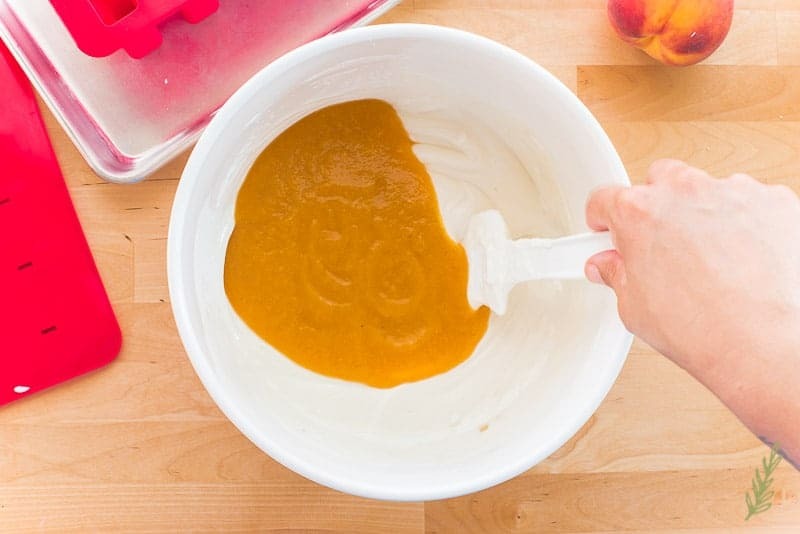 Add a tablespoon of the reserved peach pieces. Top with more yogurt mix, leaving a headspace 1/3 from the top of the cavity. Add 1, or 2, tablespoons of granola and press a bit to compact it. Top with a teaspoon of the yogurt to bind the granola. Cover and allow the popsicles to freeze for 12-24 hours. Run hot water over the inverted mold. If you have silicone molds, gently loosen the molds by pulling the silicone away from the frozen popsicles. Then pull the popsicles from their cavities. Wrap your popsicles in freezer-safe wax paper, or place them in popsicle bags. They store well, in the freezer, for up to two months. Thanks, Mimi! Yes, the granola adds another layer of texture that tastes amazing! Peaches are VERY delicious, I agree, Paula! My kids eat them all the time. I stopped saying they were only for breakfast because they work for snacks or dessert. Lucky you, Shani!! Freshly picked peaches are heavenly! These sound awesome for breakfast and I love that you’ve topped them with a bit of crunchy granola for texture! Glad you noticed that, Jenni! I love adding surprise textural elements. First off, thank you for posting images of HOW to slice and cut a peach! I literally ruin them EVERY SINGLE TIME! They are a dripping mess when I try to peel the peaches! 2ndly – these look DE-LISH! Oh, I’m so glad the pictures are helpful. I always take them with the hope they’ll come in handy. This breakfast pops look amazing. I love peaches and the granola and honey sound like a great added bonus to them. I love the textural element they bring to the pops, don’t you? These would be so perfect for me because I am really not a big breakfast person. I need to give these a try. I’m not a huge breakfast person either. I’m glad i’m not the only one. I tried these and they are SO good! Glad to hear you like them as much as we do! These sound incredible! I’ve only ever made fruit juice pops. It would be nice to try something a little different. Plus peaches are in season right now and it would be fun to go pick peaches and then prepare popsicles. Yes, Marysa, you should definitely try these if you only make fruit juice pops. It’s more filling, but still lighter than ice cream. This is a great tutorial! I’ll have to try your tip on peeling the peaches when I make this treat! Yes, Leslie! Give it a go. It works well on nectarines and tomatoes too! Perfect timing! We were just gien a full bucket of peaches and I have been looking for recipes. Lucky you, Rachel!! I love fresh peaches! This is so smart, and WAY easier than trying to bring the bowl of granola and yogurt with you!! 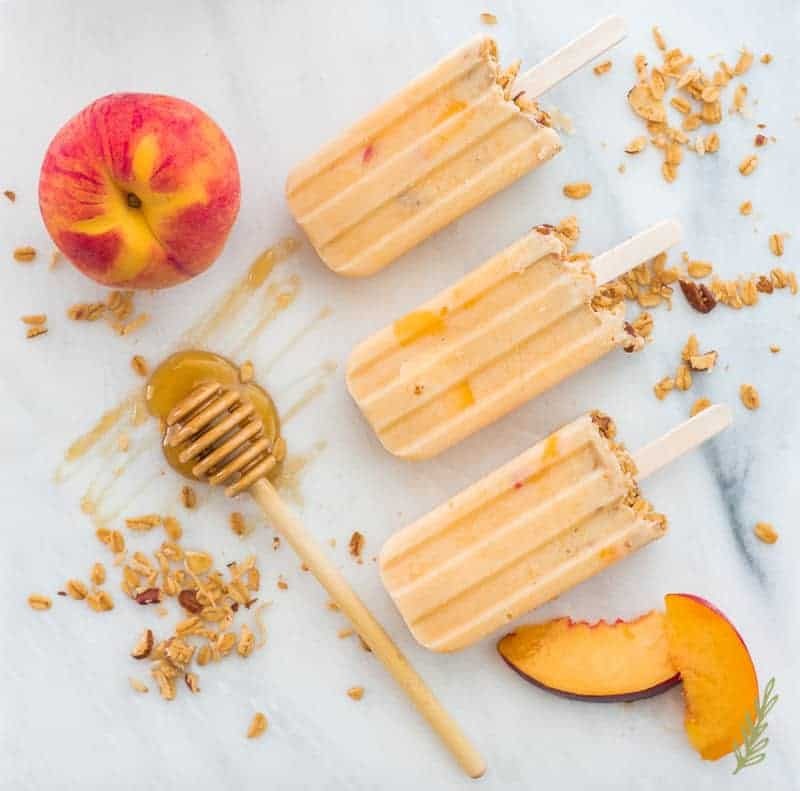 I love peaches, and since they are in season right now I can definitely give these scrumptious pops a try. Right, Melissa!?!? Especially when you have hangry people trying to get out of the door.